Kara and Scott talk about the avalanche of recent Facebook news -- including Zuckerberg's new professed want for regulations. They also talk about YouTube and how the company actively seems to be overlooking all the toxic things that end up on the platform. We reached out to <a href="https://afrotech.com/nipsey-hussle-the-stem-advocate">Managing Editor of AfroTech, John Ketchum</a>, to talk about the late-Nipsey Hussle's contributions to tech and entrepreneurship as a way to uplift his community. It's part of a broader trend of affluent black celebrities putting their money into tech entrepreneurship. Speaking of rap/entrepreneurship (eye-roll implied), Elon Musk dropped a rap about Harambe on SoundCloud. Meanwhile, Patagonia is refusing to sell tech-bros vests and we are here for it. And finally, Scott revisits predictions about Lyft and Amazon. Kara and Scott are back! They talk about Zuckerberg's supposed shift towards more privacy on Facebook and, well, we'll believe it when we see it. Meanwhile Congress is ramping up its efforts on shaking up how we think of antitrust and big tech companies. They get into what they expect to talk and hear about at South by Southwest this week. <br><br>If you're looking to learn more about all things Facebook check out our friend Casey Newton's newsletter <a href="https://www.getrevue.co/profile/caseynewton">The Interface</a>. Recode's Kara Swisher and Peter Kafka talk about this week's ruling that AT&amp;T could buy Time Warner, likely ending a lawsuit brought against the companies by the U.S. Justice Department. The decision almost immediately triggered a $65 billion bid from Comcast for 21st Century Fox, which Disney had been publicly courting at a lower price. And more generally, Kafka says it means that any media distributor now feels free to buy content companies, should they want to mirror AT&amp;T's planned marriage of its distribution infrastructure with Time Warner's media. Plus: What all this means for consumers and why it's significant that this verdict came down the same week that net neutrality was repealed in the U.S.
Recode managing editor Ed Lee talks with Kara Swisher about the pending $85 billion merger of AT&amp;T and Time Warner. Lee says the deal is in part a reaction to the rise of Netflix and will, in theory, let the companies create new kinds of online video and smarter digital advertising. However, last year the U.S. Justice Department sued AT&amp;T in an attempt to block the deal, which Lee says is plausibly more motivated by President Trump’s animus toward Time Warner-owned CNN than by actual danger posed to consumers. He also talks about what would change for consumers if the deal goes through and why its success could lead to a dramatic showdown between Disney and Comcast for the right to buy 20th Century Fox. 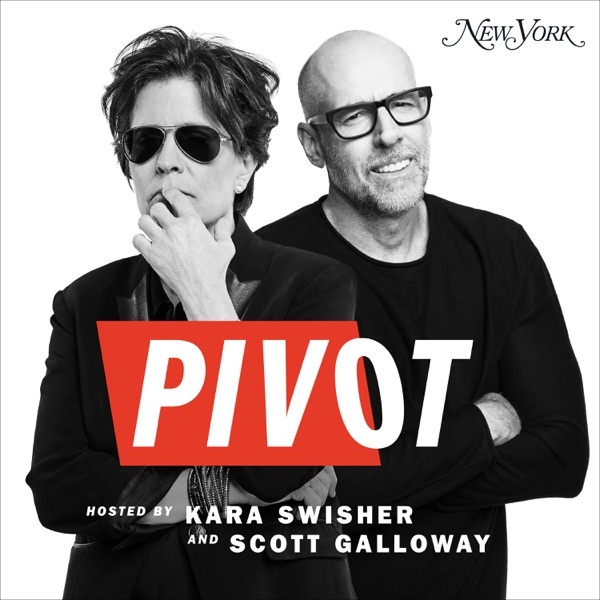 Tamara Warren, the Verge's transportation editor, talks with Kara Swisher and Lauren Goode about Tesla's recent product event in which the Silicon Valley car company unveiled new electric semi trucks — and a new version of its Roadster sports car, which starts at $200,000. Warren explains why Elon Musk &amp; company are getting into trucking at a time when they're still having trouble with on-time deliveries all the Model 3 sedans they had promised consumers. She also talks about the potential cost savings of electric trucks for retailers like Walmart, the future of Tesla's autonomous driving ambitions and why she thinks it's unlikely Tesla would sell itself to a big automaker or another tech company anytime soon. Recode senior commerce editor Jason Del Rey talks with Kara Swisher about the ongoing rivalry between Amazon and Walmart, which was recently marked by big M&amp;A deals: Amazonannounced plans to acquire Whole Foods for $13.7 billion and Walmart said it would acquire men's clothing brand Bonobos for more than $300 million. Del Rey explains both deals and argues that the Silicon Valley narrative of Amazon becoming the world's only store isn't as clear-cut as techies might think. He says Walmart's brick-and-mortar footprint makes a big difference, but so does its behind-the-scenes logistics operation and its access to a broad swath of consumers from all income brackets. It’s time to get excited! Starting on January 13th, Too Embarrassed to Ask will become its own weekly podcast, giving us even more time to review the latest gadgets and answer all those questions you’ve been dying to ask. Get your questions ready and tweet them in advance to @recode with the hashtag #AskRecode.